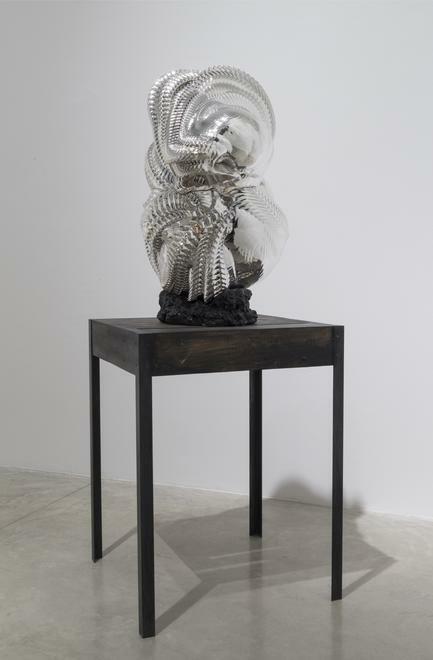 Albertz Benda is pleased to present Motohiko Odani: Depth of the Body, a solo exhibition of recent works by the acclaimed Japanese artist on view May 5 – June 18, 2016 at 515 West 26th Street. 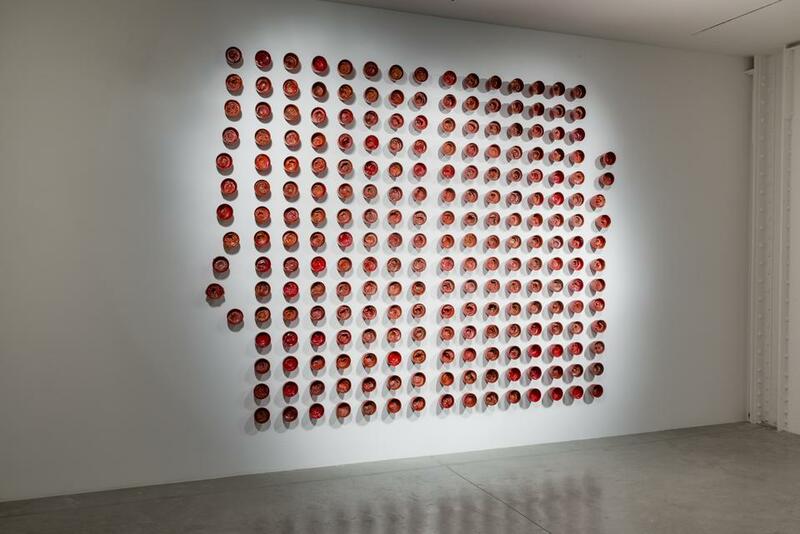 This exhibition marks the artist’s first gallery show outside of Asia and will feature his complex mixed media pieces that transcend the static limitations of sculpture and address the relationship between the spiritual and physical. Odani’s works are comprised of complex layers of meaning that defy a singular interpretation, as the artist draws inspiration from various sources including horror and sci-fi films, Japanese folklore, Buddhism, and Futurism. 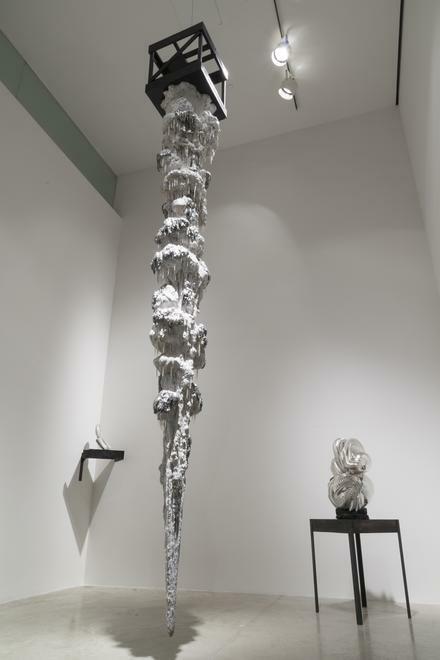 His skillful handling of unorthodox materials and his ability to extract beauty from the grotesque has won him acclaim both in Japan and abroad. In 2003, at the age of 31, he was selected as one of two artists to represent Japan at the Venice Biennale, and in 2010 the Mori Art Museum devoted their entire space to Phantom Limb, an exhibition of new and previous work. In Depth of the Body, Odani challenges his audience by revealing the illusory nature of the senses and blurring the dichotomies of organic and artificial, perception and reality. 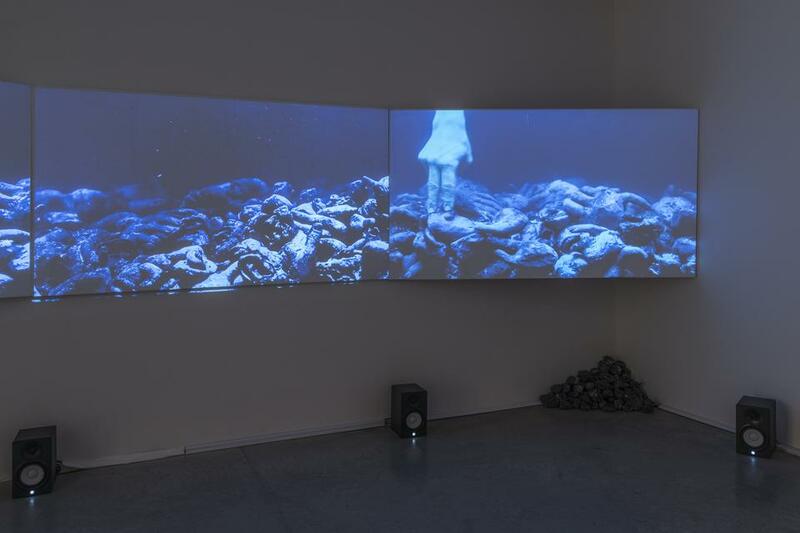 The genesis of the show is in part inspired by recent events; the 2011 Fukushima disaster, with both natural and man-made causes, shattered confidence in institutions that had previously seemed infallible in Japan. 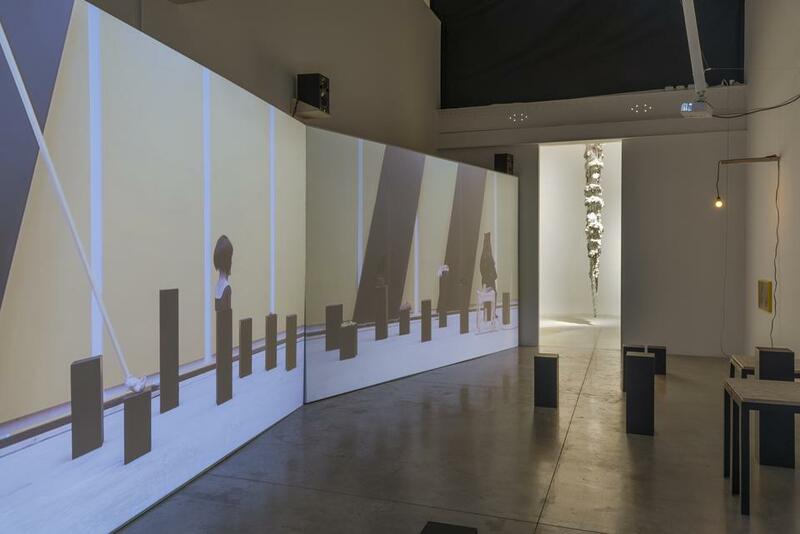 The exhibition is comprised of four series – New Born, A Cosmic Traveler of Blindness, Skeleton, and Terminal Impact - each occupying its own room in the gallery. In New Born, a sculptural series that began in 2007, Odani creates imaginary creatures from bones, alluding to life that existed prior to humans or that may exist beyond this earth. 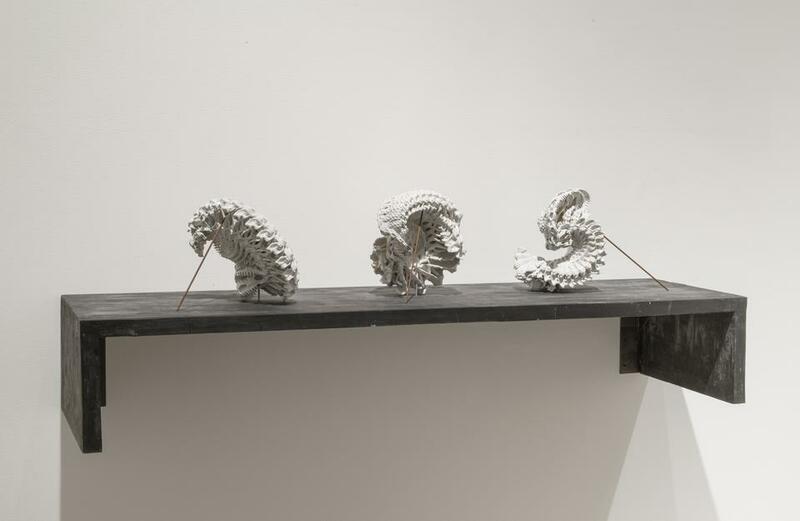 The resulting forms, resembling delicate structures frozen in tight spirals, are both primeval and alien, demonstrating the power of natural evolution and the impact of sudden events to cause physical transformation. A Cosmic Traveler of Blindness, a never-before-seen video installation, follows a sightless man as he drifts through an underwater abyss, tracing the contours of sculptures cast from his own face, hands, and feet - "the mere shadow of the body parts,“ as the artist explains – occasionally lit by the eerie glow of red LED lights. 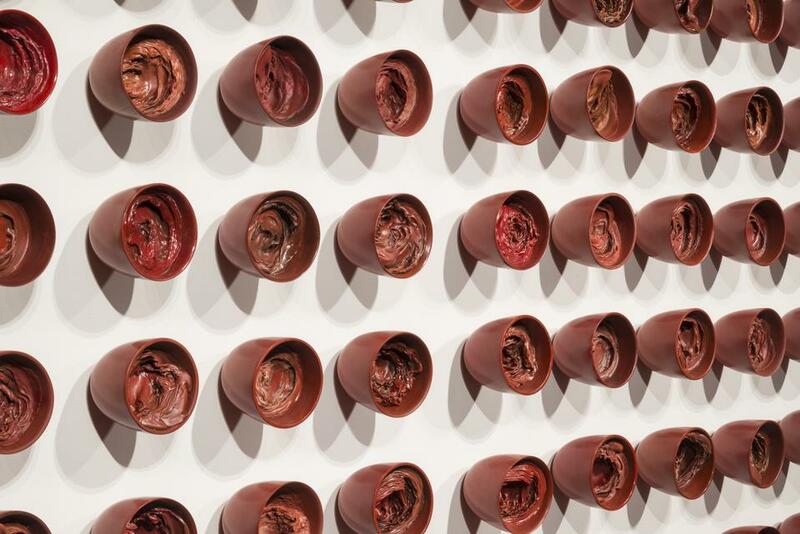 Beyond referencing the complex neurological processes behind sight and touch, Odani reflects upon the effects of losing our sensory organs, and the ways in which the human body transforms to compensate for diminished perception. 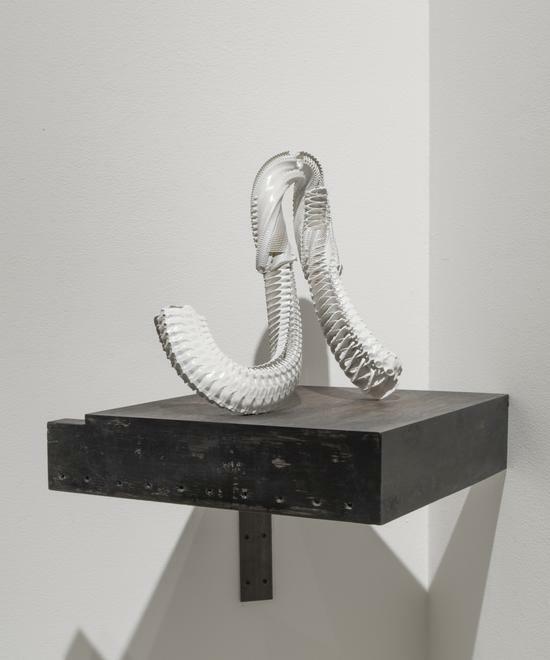 Skeleton - originally shown at the 2003 Venice Biennale and reimagined for this presentation- captures a precarious moment frozen in time as the piece resists gravity as if imbued with primordial, supernatural power. 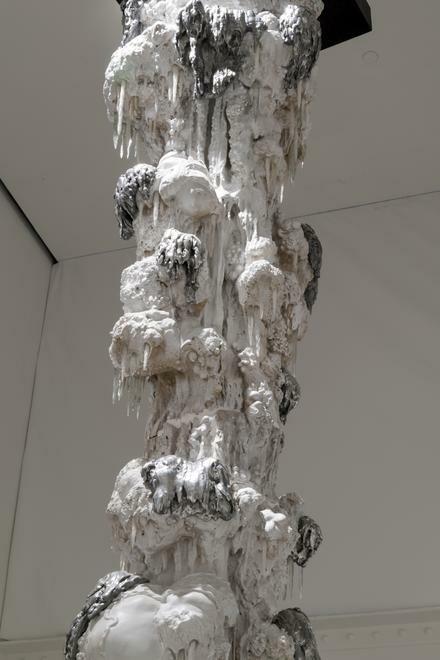 The strong vertical form resembles a stalactite or megalith, while the presence of aluminum streaks and bubbles give the impression of a science experiment gone awry. This fusion of organic and synthetic qualities simultaneously celebrates the harsh beauty of ancient forms and the imposing power of growth. 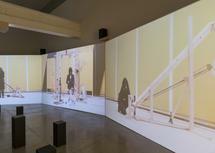 Odani blurs the division between humans and machines in his multi-screen installation, Terminal Impact. The videos follow artist Mari Katayama as she performs mundane tasks with the aid of complex apparatus and shadowy figures known as kuroko, or traditional bunraku stagehands. 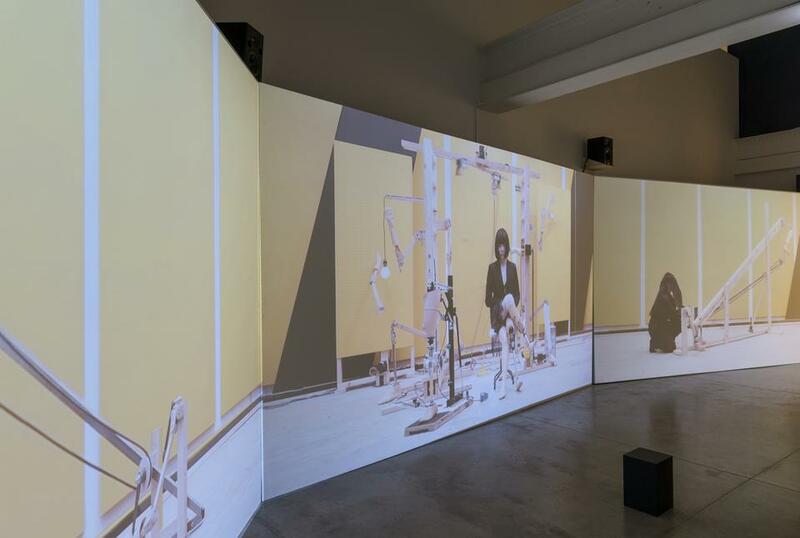 This immersive installation acts as a “video sculpture,” a unique intermingling of film and physical objects that envelops the viewer in the skewed world that Odani has created.